Also, Book 3's antagonist is voiced by Henry Rollins. Unfortunately, not very well. I did think Zelda Williams did an excellent job in season four. Eh, I think he sounded a lot like the wannabe revolutionaries I've encountered. Very in line with, "I'm an Anonymous fanboy and conspiracy theorist. I shall now pontificate on the FEMA camps which the sheeple don't want to admit to themselves are being built right under their noses!" A weird sort of overly earnest belief in his world view, which even if it's not presented smoothly, has an on-the-edge passion about it. And, yes, Zelda was great in Book 4. That was the writing, the delivery was really monotone and dull, I thought. I really wanted Ghazan to survive. Also, it seems weird to me that the Red Lotus mooks wore uniforms. Very organized for an organization all about disorder. The Red Lotus didn't have mooks? The ones we saw in the Book 3 finale. "I don't know how we ended up here in day care while everyone else gets to watch the Avatar being destroyed. I can hold a bowl of poison." I've emerged from my Last Airbender re-watch with some new insights. In my opinion, the true bad guy of the Avatar: The Last Airbender series is actually Fire Lord Ozai. That guy, just a real bad guy, man. Ozai has always been the true bad guy of the series... right? The true enemy was friendship. Fire Lord Ozai is an illusion, and so is death. 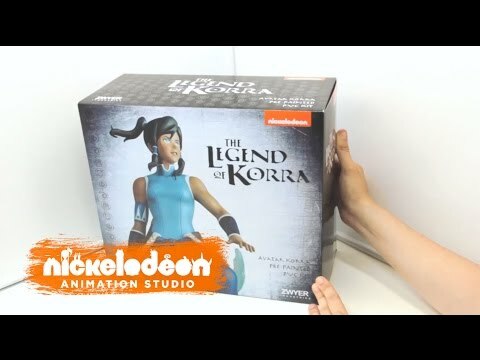 Video featuring the Avatar Korra figure. KORRA COMICS ARE HAPPENING! JUNE 2017! YOU HAVE TO DEAL WITH IT! Also, the Nendoroid Korra is back on preorder (worldwide) with an updated look. I randomly rewatched the finale of Balance, which I hadn't seen since the episode debuted. Dropping a goddamn skyscraper onto Kuvira's mech? Wonder how long they'll dance around it before they smooch.  Hopefully at the end of issue one. 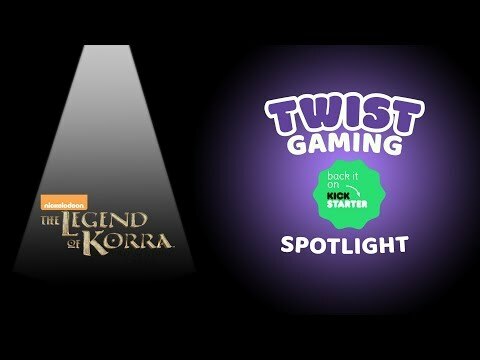 IDW Games is releasing a Legend of Korra: Pro-bending Arena board game. Expected release is February 2018, but you can "pre-order" the Deluxe Edition on Kickstarter. There's also an expansion for Amon's Invasion from "And The Winner Is..."
Judging from the video below, I'm impressed with the amount of depth the game appears to have. And that's without the bonus content. @BoomerAang Squad that's neat, but the forum has rules against linking directly to ongoing Kickstarters. Posting information and the trailer is fine, just edit the post to get rid of the link! @DarkPrimus Thanks for the heads up! It was actually really early on! Yay! More Avatar: The Last Airbender comics are on the way! Avatar: The Last Airbender ended in 2008, but the story has been kept alive in the years since by a series of comics written by Gene Luen Yang, the award-winning author of American Born Chinese. Now, the torch is being passed once again. 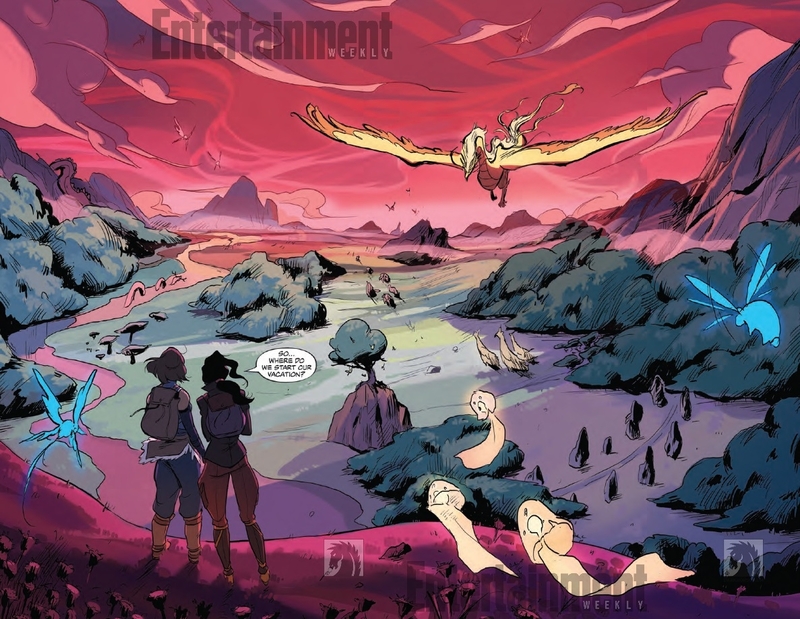 EW can exclusively announce that writer Faith Erin Hicks (The Nameless City) and artist Peter Wartman (Over the Wall) will be taking over Avatar: The Last Airbender comics starting next year. So for people who missed it elsewhere, The Last Airbender is getting a complete series Blu-ray release. Best Buy gets it a month early before coming out elsewhere. Why post about it now? $29.97 with no coupon code, not sure about shipping. So, my son turns 6 in October and was in dire need of exposure to shows that are for lack of a better term, actually not terrible. This combined with the BluRay release of Last Airbender meant we started watching it together. He loved it, every episode. His favorite was the hippie singers, sadly. When it ended, he asked if there was more. I hesitantly explained that yes, there was another series after it called Korra. He begged to watch it, and Microsoft had the whole series available digitally for something like 20 bucks, so I bought it and gave it a go with him. This series has been MUCH BETTER than I remember it. I think it just works better when you can watch it in multi-episode blocks compared to once a week. The pacing, which felt terrible once a week, works wonderfully in chunks. And the art, of courses, is fantastic. They did a real disservice kicking it to online only when it was still being made. Anyway, for anyone who disliked it the first go around or skipped it completely, Korra is worth a second look. My son and I do not discuss the time he tried to say Korra was a better Avatar than Aang, though. Its North and South in here on that score. The hippie singers were great. They probably had the most memorable song next to Iroh's rendition of Leaves on the Vine. It's just a bit of a shame that the rest of the episode with the hippie singers was a bit unremarkable. "Secret tunnel! Secret tunnel! Through the mountain! Secret secret secret secret tunnel! Yeah"
Do you guys remember that one season of Korra where she got a fun sporty haircut? That was cool. You're giving me parental PTSD. Though my son actually sang the love in your heart bit way more, admittedly. My son is only 2, but he already sits down and tells me he wants to watch V-Tar! He also walks around trying to say Water Tribe! Yesterday was also the 10th anniversary of Avatar's finale. Can you imagine this. DnD. You're the GM. I'm playing a dwarf bard as a joke. For this dungeonrun I have memorized practically all the avatar nomad songs and invented a few new ones in the same style. Yeah, I remember that, though he was the "Never there" type due to Avatar business, not abusive. And when he was there, he was usually one way or another pushing Tenzin to be the leader of the Air Nomads. While ignoring the other two kids. Airbender is coming back! The original series will be “re-imagined” as a live-action series on Netflix. So, who gets to ruin Michael DiMartino and Bryan Konietzko’s vision this time? None other than Michael DiMartino and Bryan Konietzko. It can't be worse than the movie.